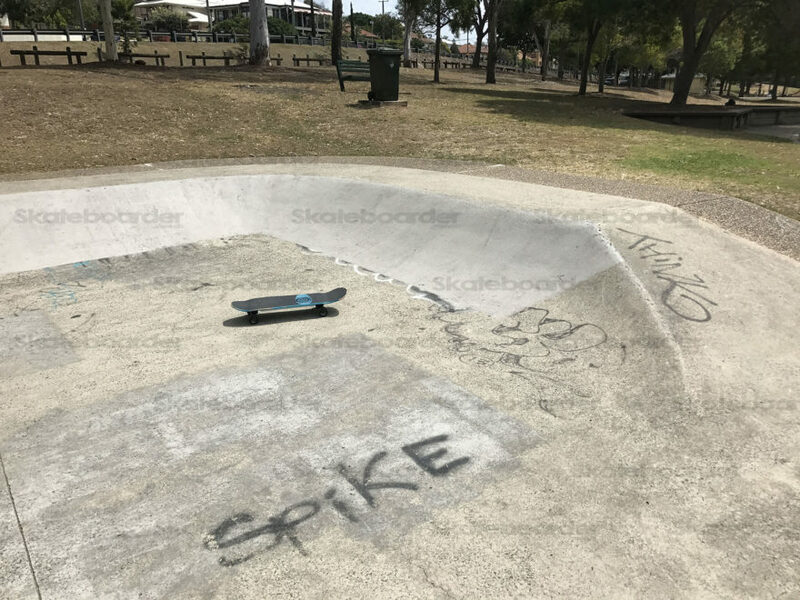 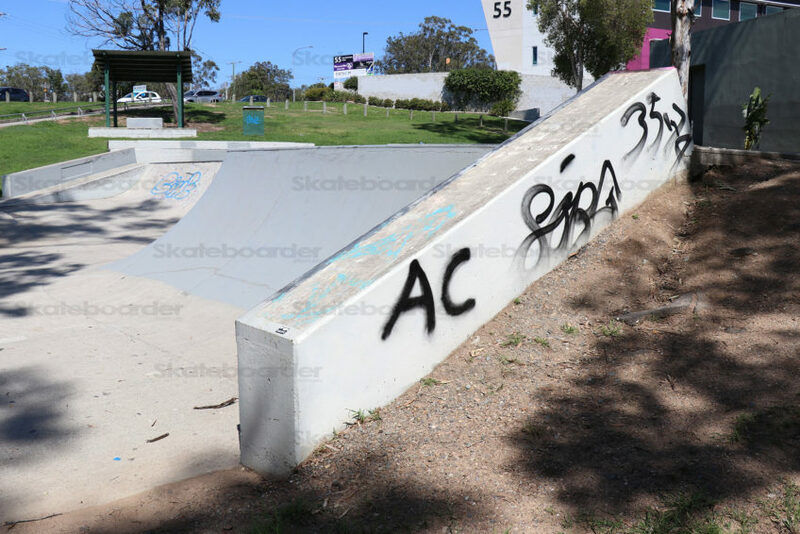 Albany Creek Skatepark has been around for many years now and it seems to be showing some signs of wear. 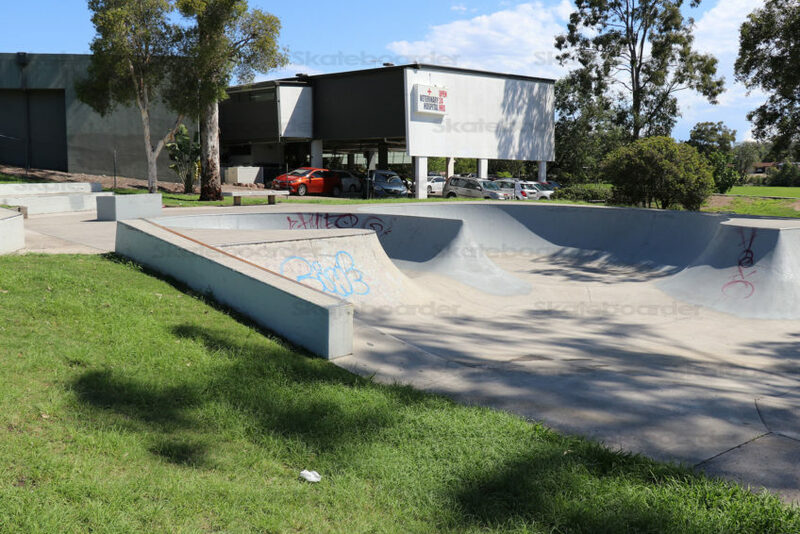 Also the flat is a bit rough in sections but the bowls are great make it well worth it. 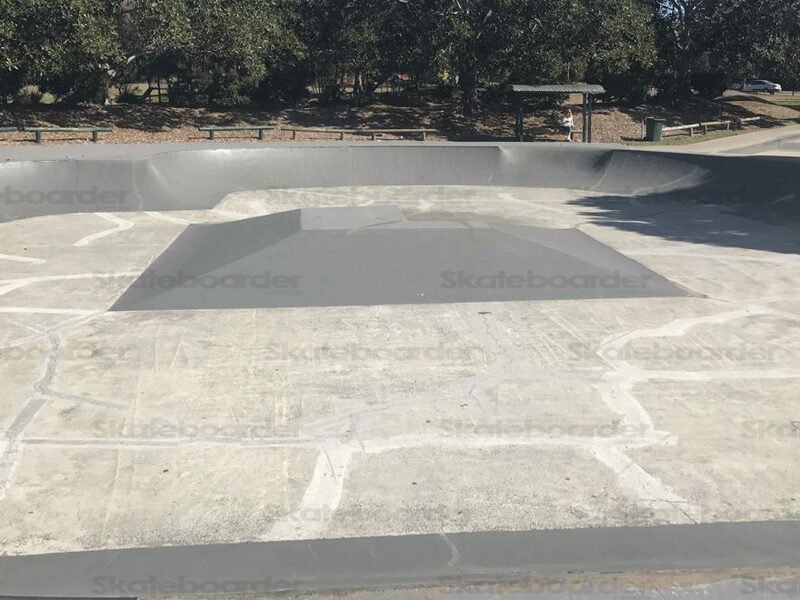 Bitumen on the flat and concrete transitions painted grey. 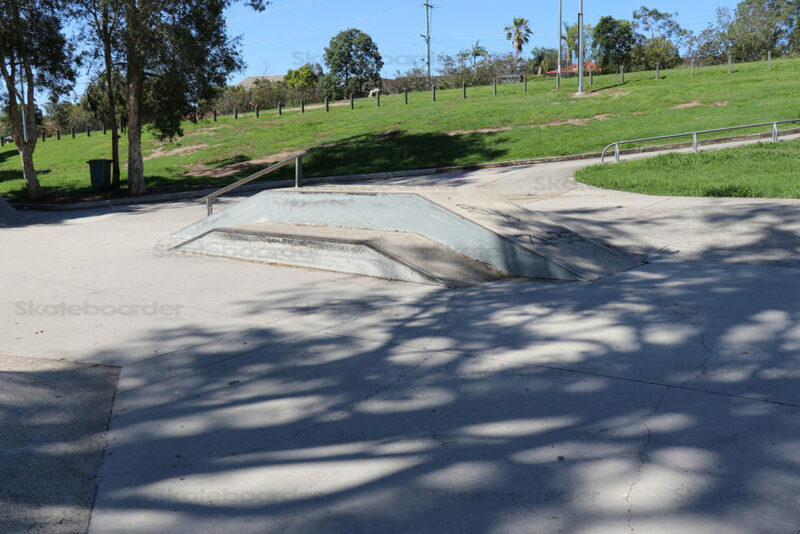 There are two main bowls backing onto each other forming a small spine in the middle. 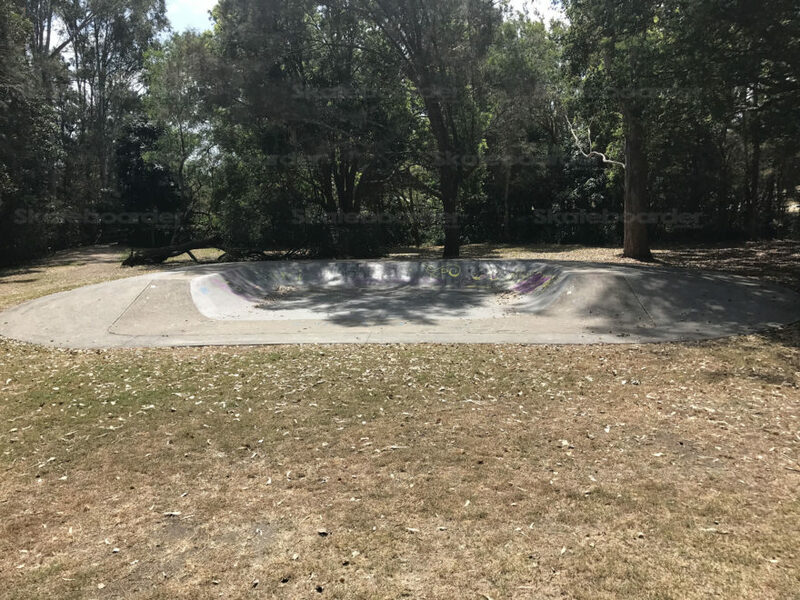 These bowls appear to be around five to six foot high. 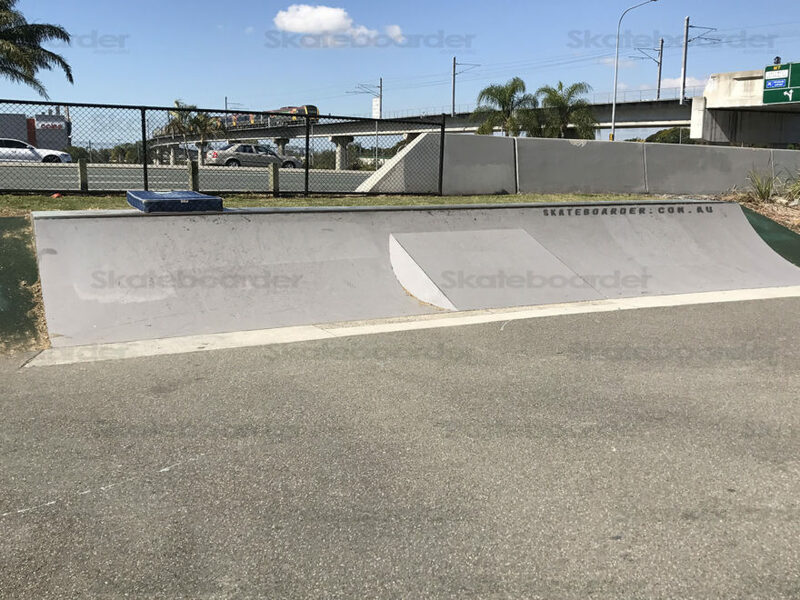 The quarter pipe of the same height backed onto the right side bowl with a sloped ledge beside it. 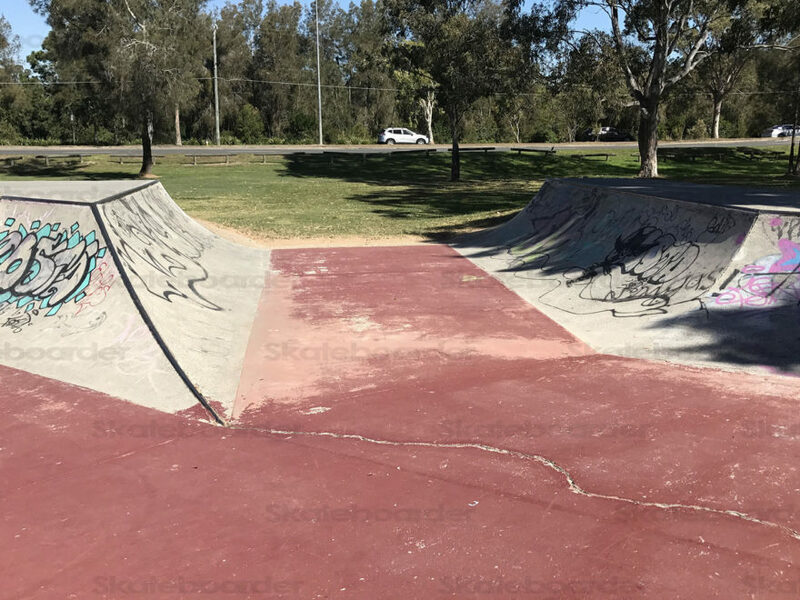 Looks like a challenge to ollie onto off the quarter. 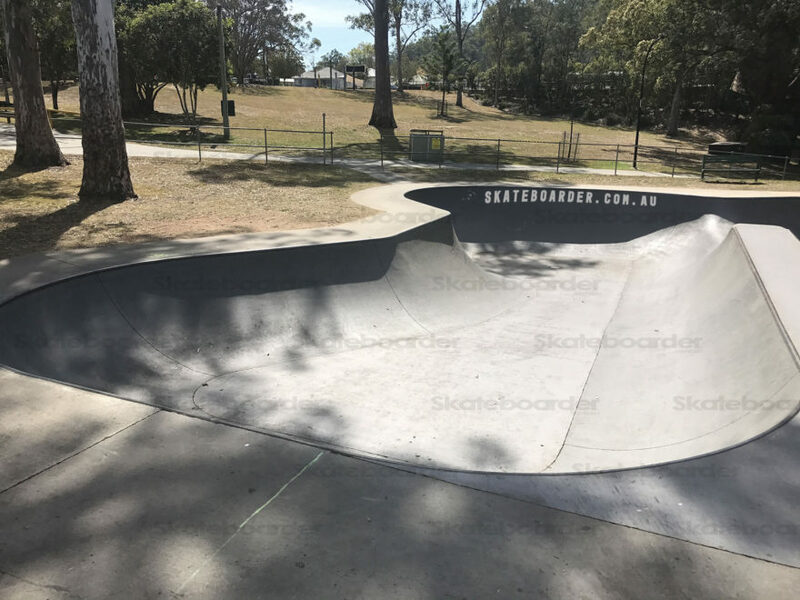 In the centre of the park is a two level funbox with a sloped rail. 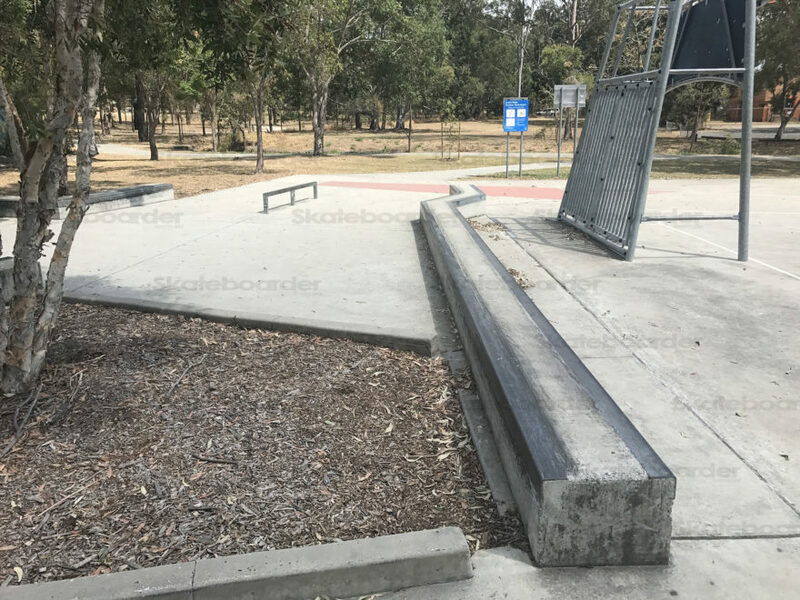 At the opposite end of the park you can launch from a nice bank which also has a lower roll in. 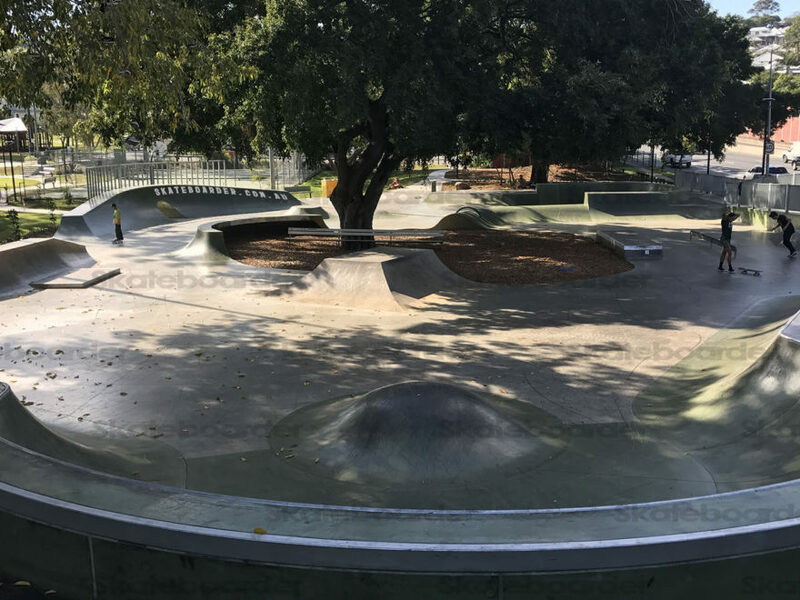 This park has its conveniences with a shaded picnic table and it’s well lit up for night skating. 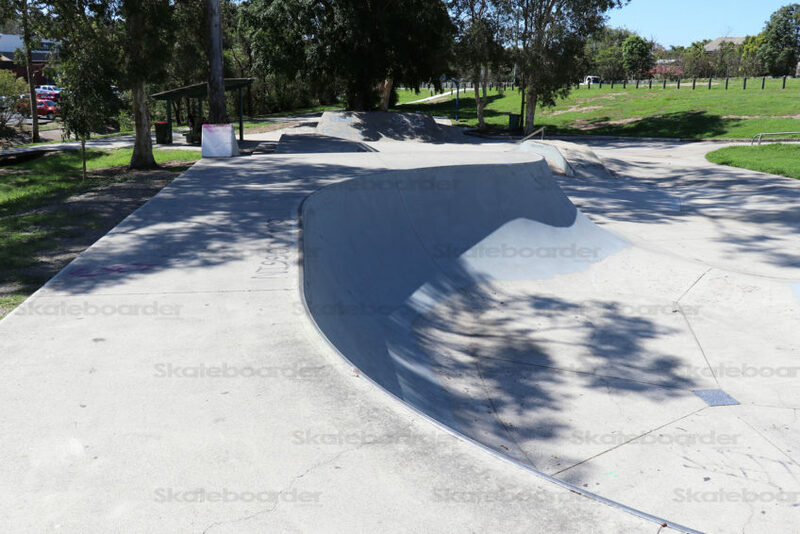 Also its only a short walk to Woolies. 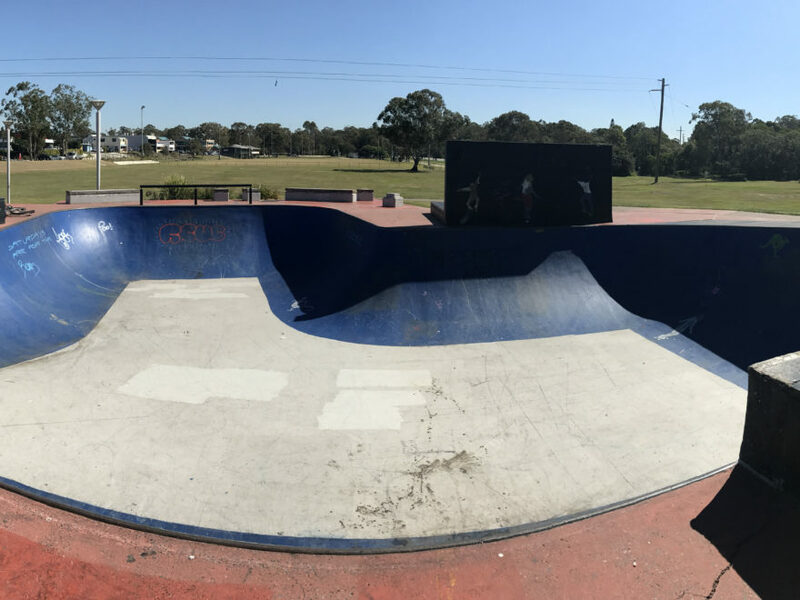 There’s also a Red Rooster further up if the all day bowl session is making you hungry! 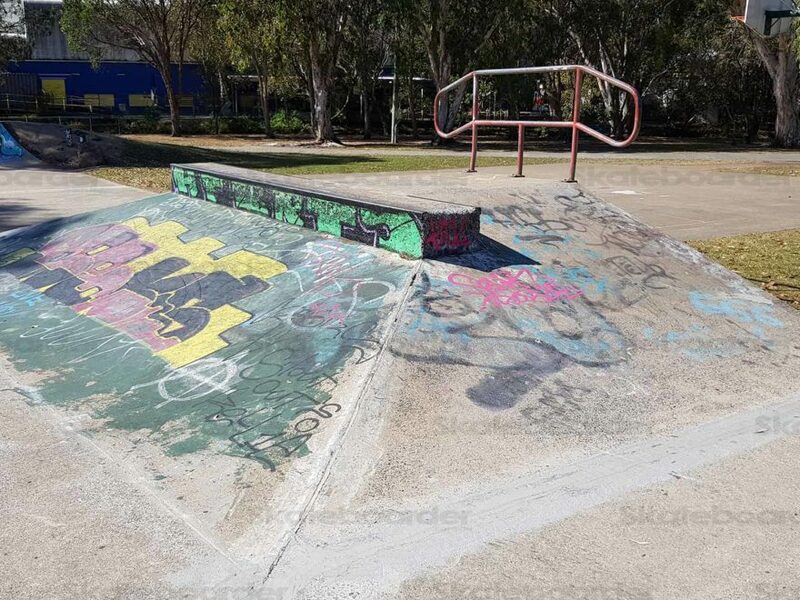 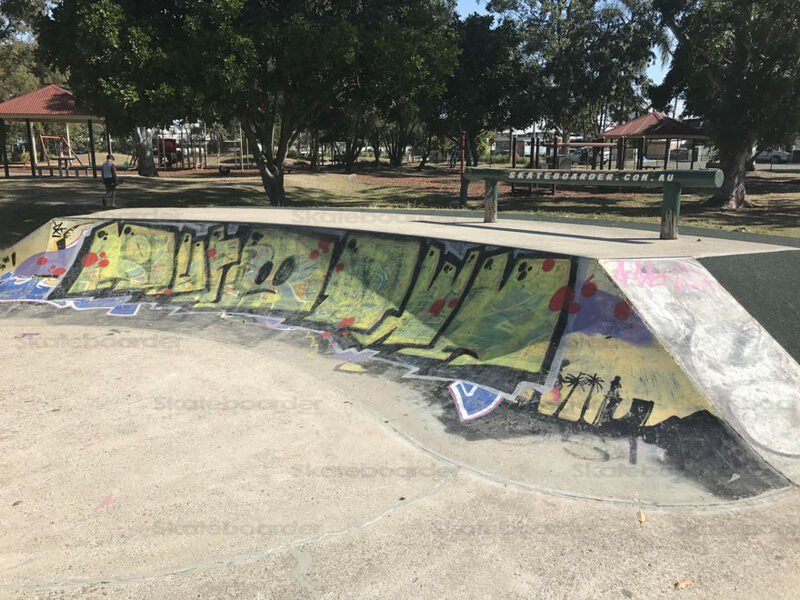 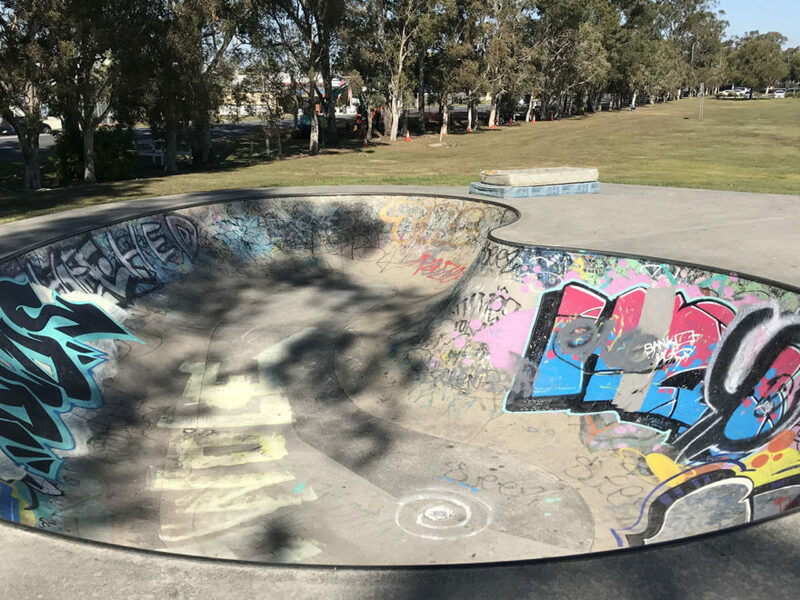 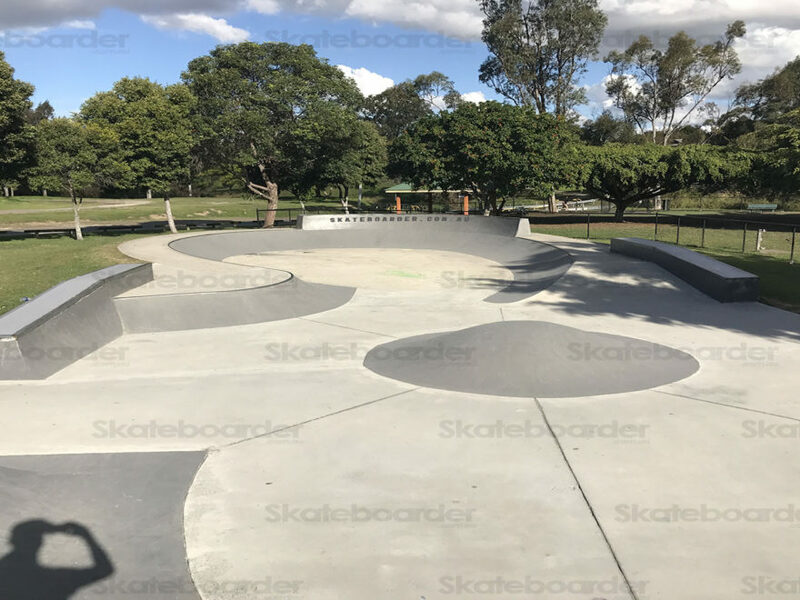 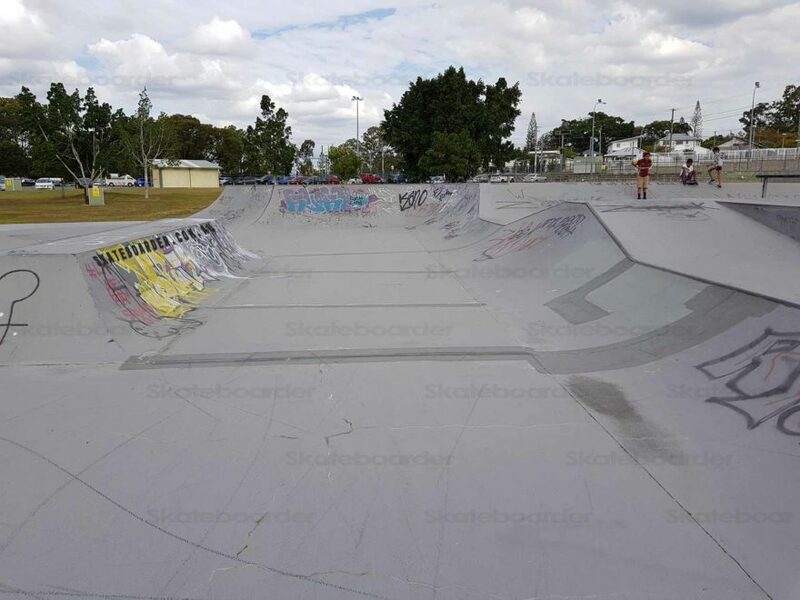 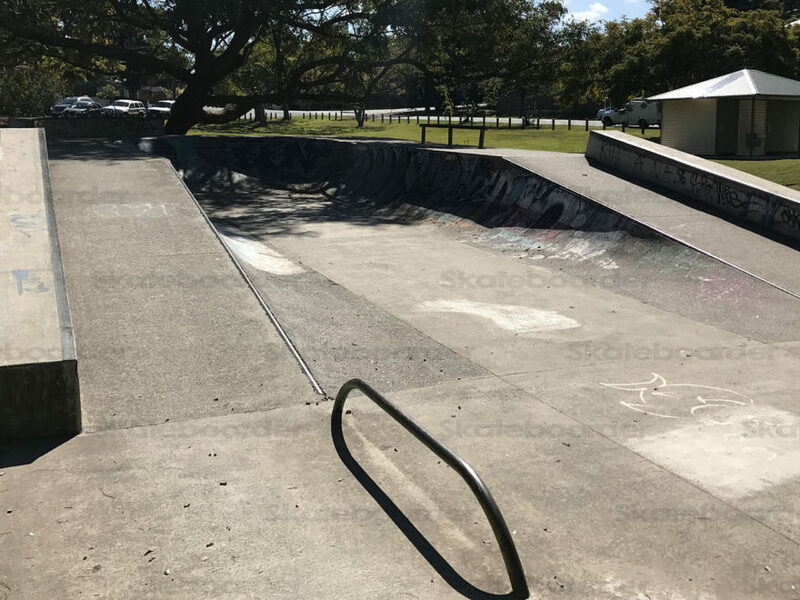 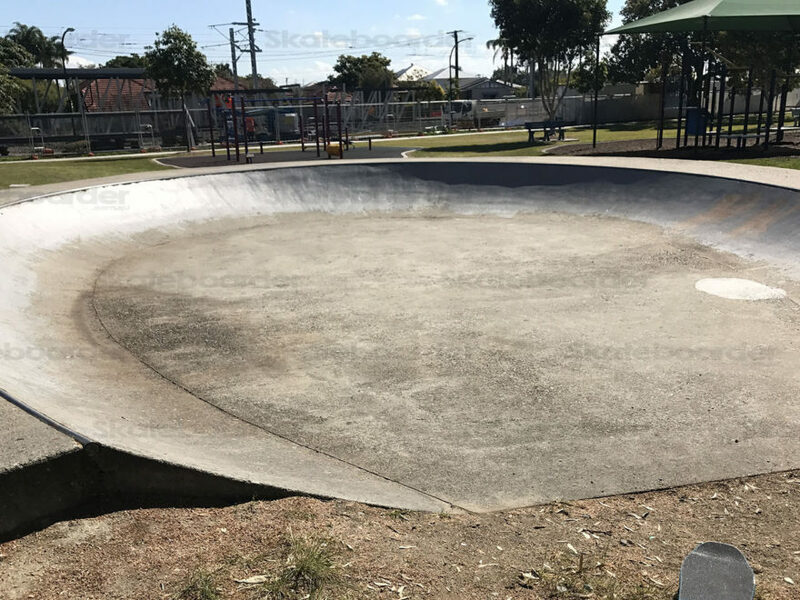 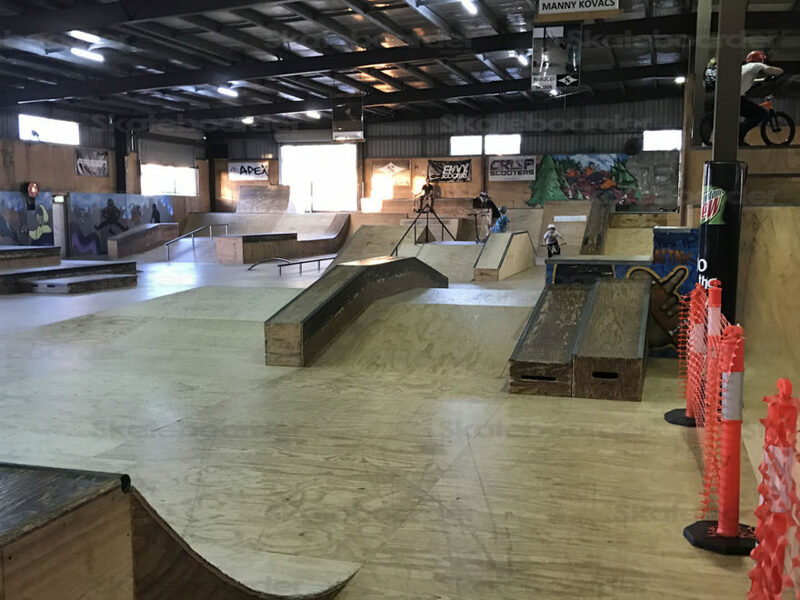 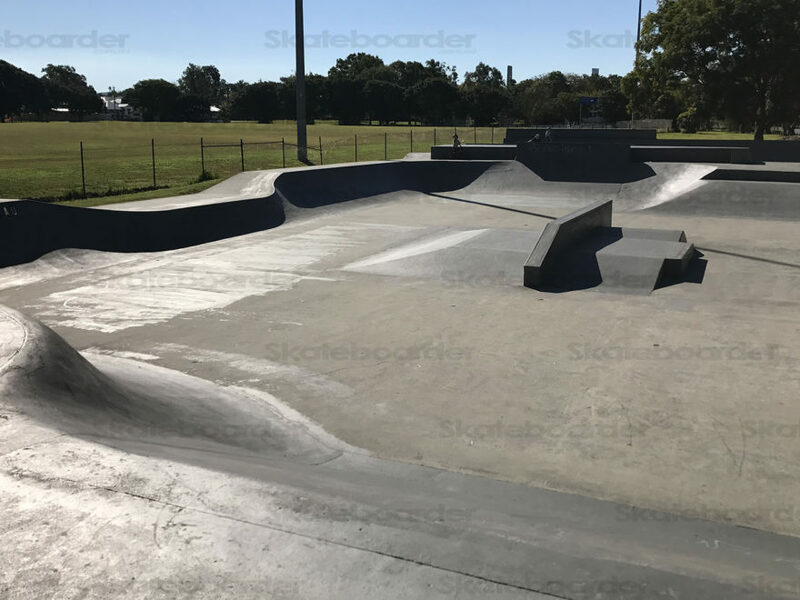 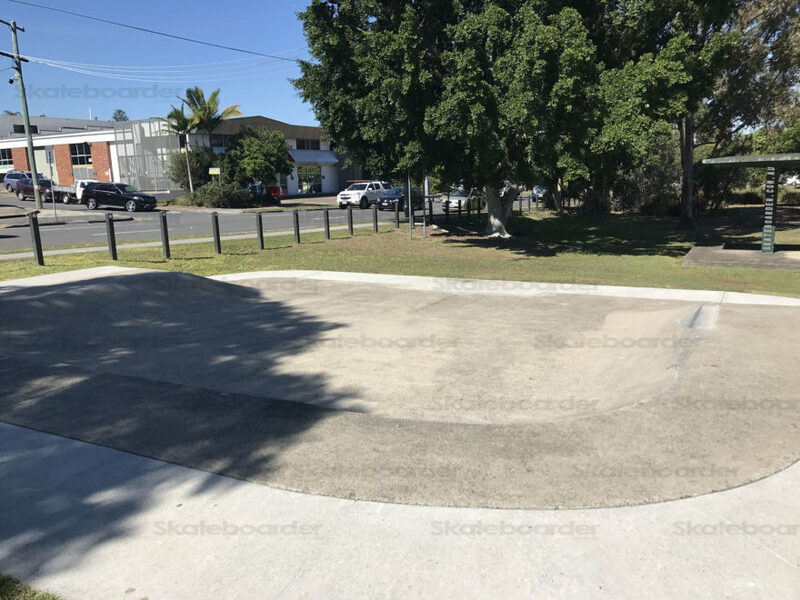 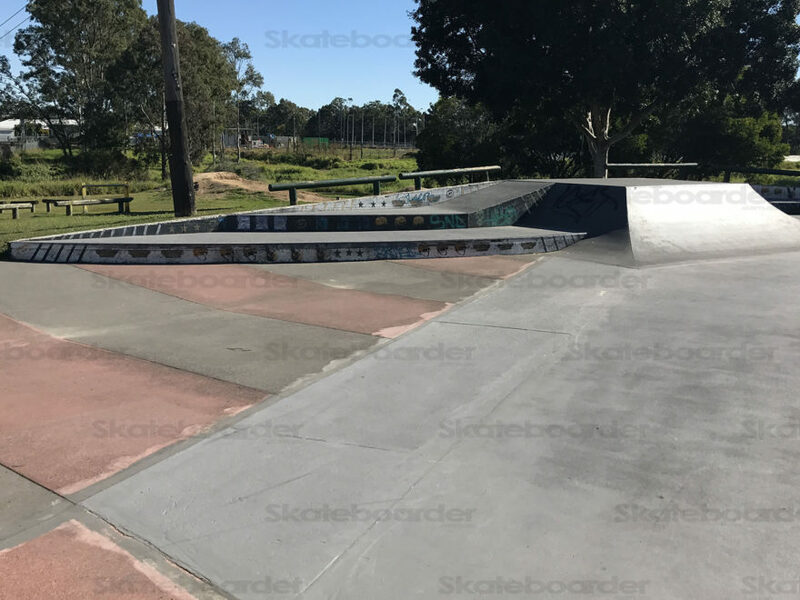 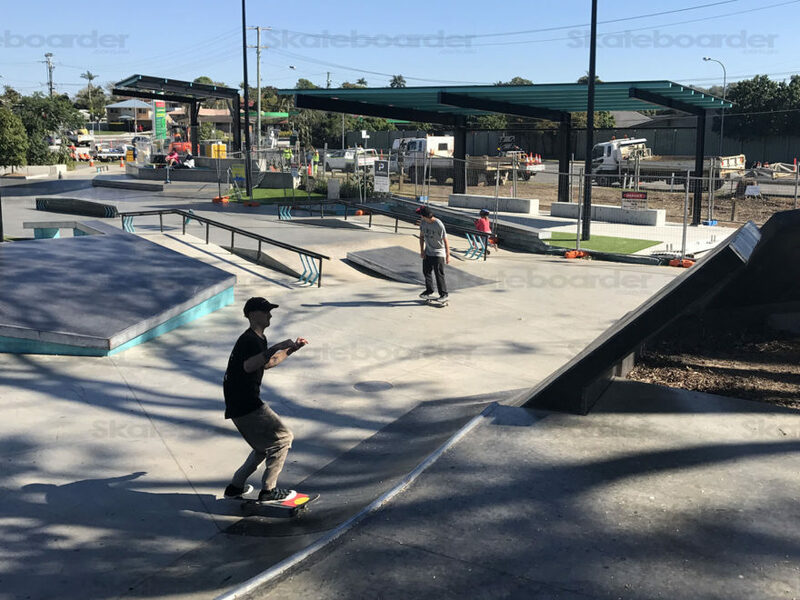 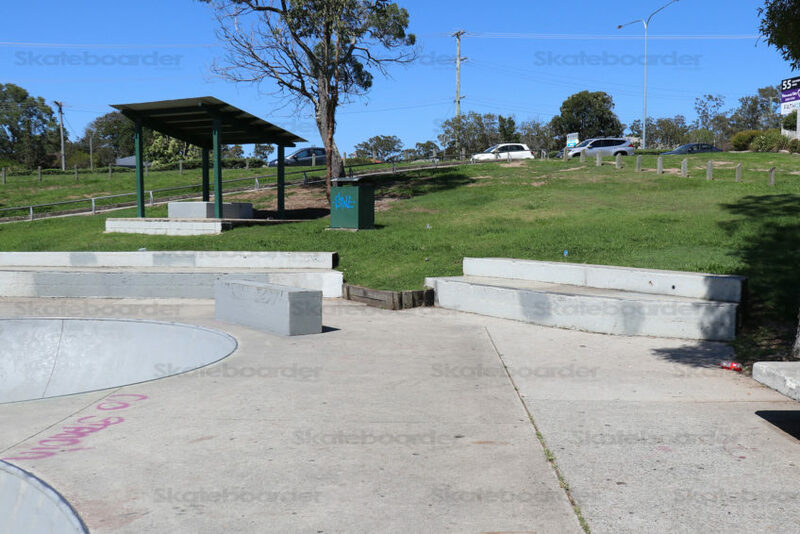 Albany Creek Skatepark is at Lemke Park, 61 Old Northern Rd, Albany Creek. 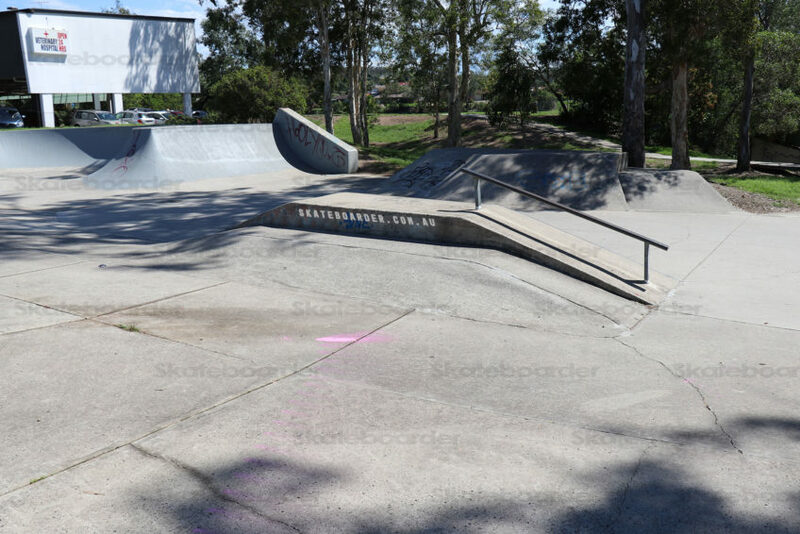 If you are coming by car, turn left onto Jagora Drv and either park at Woolies or further down the road to the left. 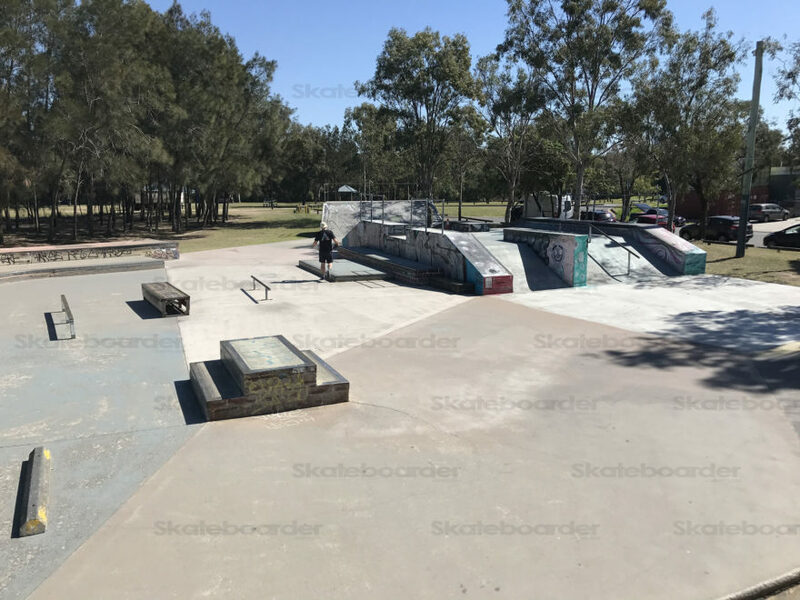 As it often is with parks in Brisbane’s northwest, trains aren’t a good option too far away. 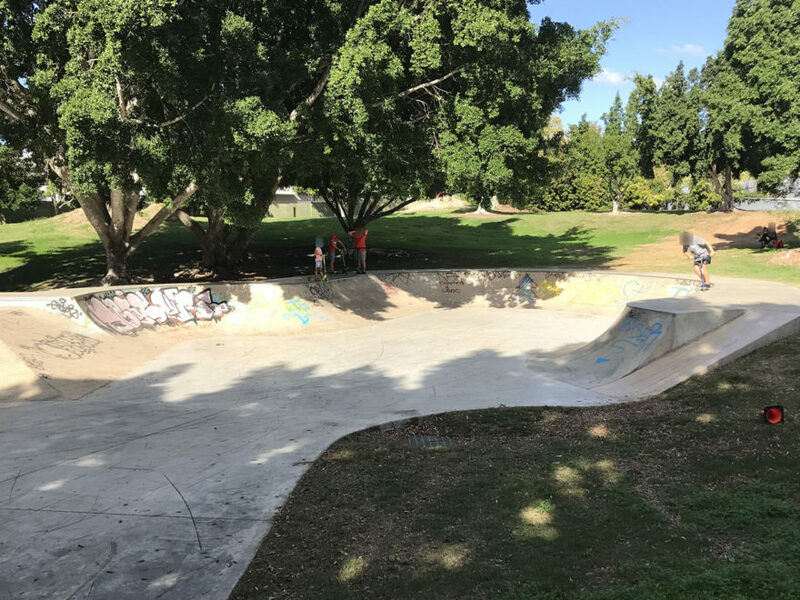 Best to search up the Bus routes in the area on Translink.